Meet the demands of healthcare and hospital facilities. Rise to the challenge of keeping medical buildings and equipment pristine so you can deliver the best possible care (and are always ready for Joint Commission visits, too). 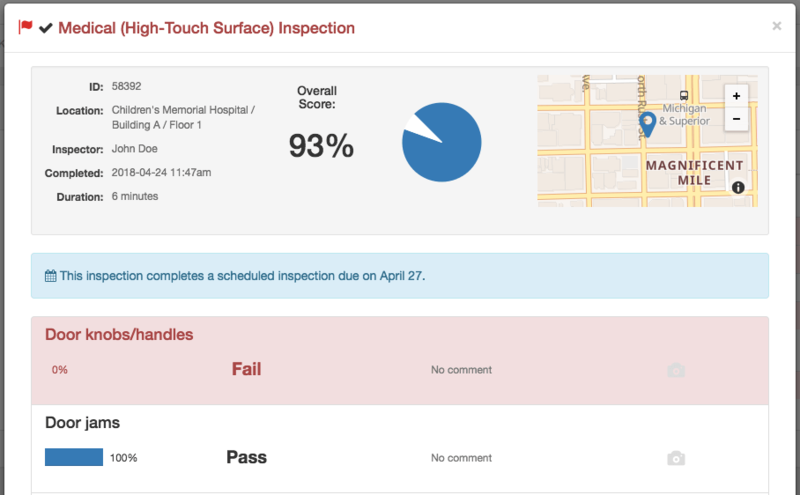 OrangeQC’s analytics help identify hot spots and areas for improvement before they start causing problems. 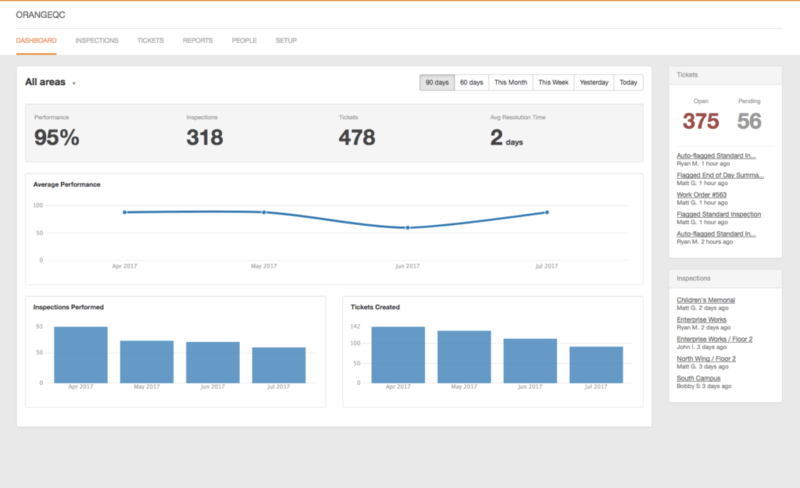 We automatically generate professional reports and metrics that you can share with your teams and administration. And your full audit trail is tracked online, where you can always find it. When you wing it, you miss things. When you know how things are really going at your facilities—with data that tells you just how often you’re meeting your own standards—you’ll always be a step ahead. That’s where our janitorial and hospital inspection software comes in. Our simple ticket and work order system organizes all your team’s tasks. Tickets can be assigned, commented on, and updated so everyone knows the status of an issue and who’s responsible for what. And because tickets are accessible via the web, mobile app, and email, everyone can communicate in the way that works for them. Put our tools to work. When an app is easy to use… it gets used. OrangeQC is simple and intuitive. You can use our forms to track ATP, take inventory of supplies, perform routine hospital inspections, and more. We do all the hard work for you: pulling out trends in inspections, organizing work orders and corrective actions, and analyzing your data to create custom reports. Learn more about how our features work for you. We started using OrangeQC at Mary Rutan Hospital about four years ago. It is very user-friendly in its application for our cleaning inspections and our staff really like the instant results from the scoring... 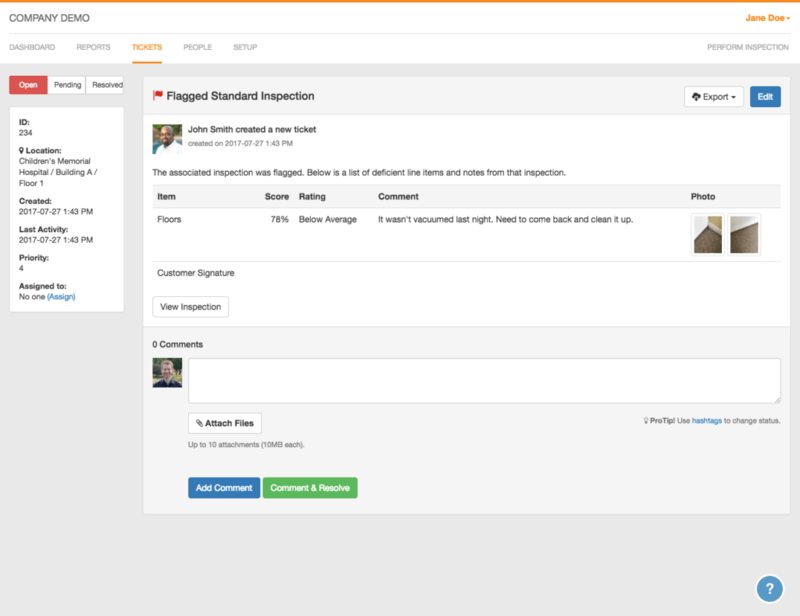 In addition, we also use OrangeQC for our safety inspections. We even have the ability to attach photos with areas of concern through the program. I have compared OrangeQC to similar programs and have found this one to be very affordable and building the inspection reports is very easy! I would absolutely recommend OrangeQC to anyone in the market for this type of an inspection program.